Nike's Kobe Elite X features a nod to Hawaii and President Obama. Kicks and Colors spotlights the variety of colorways—and the stories that go with—that brands’ unveil in key basketball sneakers. Story: The Kobe line has recently offered ample variety with a mix of “elite” and regular lines merging low tops and high tops. 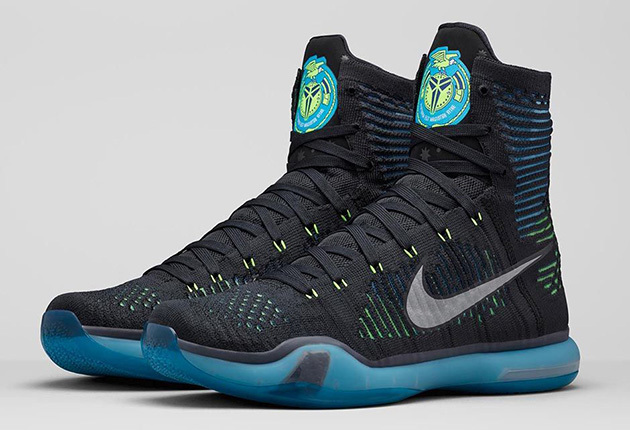 The latest Kobe X comes in the elite form, which was built with Flyknit in an ultra high top. The design inspiration for the Commander? The Commander In Chief. The new sneaker launching on Oct. 14 “symbolizes the President’s influence on Kobe with colors inspired by his Honolulu high school.” A special commander logo on the tongue offers a bit of added intrigue. Tim Newcomb covers stadiums, sneakers and training for Sports Illustrated. Follow him on Twitter at @tdnewcomb.